Q. What can be done about a rabbi who isn’t a paragon of virtue? A. Let me tell you a story. Whether it is true I have no idea. The moral of the story? If rabbis are even rumoured to be less than tov v’yashar (good and upright), isn’t the rumour bad enough? The Talmud ordains a punishment for a talmid chacham who has a speck on his clothing. Specks can be metaphorical. 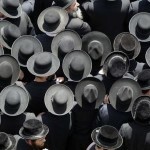 A speck on a rabbi doesn’t only reflect on the individual. It reflects on his parents. It reflects on his wife, who may have said something to him, like the wife of On ben Pelet in the Korach story, but failed to find a listening ear. It reflects on his teachers, his colleagues, his Torah. To be a poor preacher from a financial point of view can actually be a blessing in the ethical sense. There are congregations where rabbis get very comfortable salaries (I am afraid I was never so lucky). Whatever the salary, the rabbi should live modestly and keep out of questionable ventures. My shule’s chazan used to say about himself, “What’s wrong with me? I don’t own any property, I’m an oreme mensch (a pauper)…” I replied, “On the contrary, you are actually rich – you have a wonderful wife, fine children, good health and a good name, and you’re same’ach b’chelko… (happy with your portion)”. 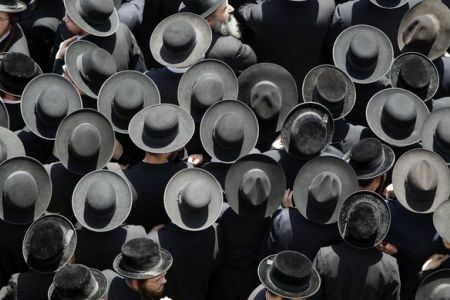 How can any rabbi speak in the name of the Torah and judge (or even criticise) the debatable activities of some of his community if people can and do say, “But you’re no better than anyone else! Who made you a judge over us?” – Mi sam’cha l’ish sar v’shofet alenu? (Ex. 2:14). As a Jew, as a human being, the rabbi – every rabbi – is in need of Divine m’chilah (pardon) for things he may have done or left undone. But he has an extra responsibility of avoiding spots on his clothing and specks on his soul. There are elders in the rabbinate who are removed from the day-to-day issues and anxieties. These veterans could quietly draft a code of professional ethics. It need not be voted on, but coming from senior colleagues, it would already have status. Such guidance would be a service to the Torah to which every rabbi has dedicated his life. This entry is filed under Ask The Rabbi, Rabbis. WordPress generated this page with 31 queries, in 0.227 seconds.